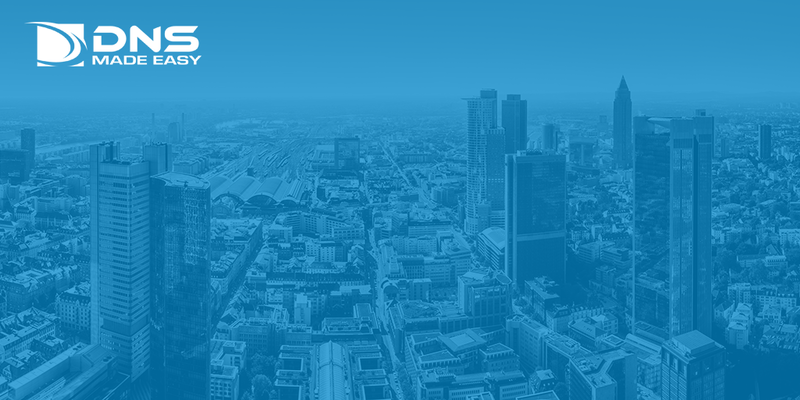 DNS Made Easy the industry leader for DNS management services has upgraded infrastructure at their Frankfurt PoP to increase bandwidth threefold. The DNS Made Easy network currently spans 16 geographically unique points of presence at critical vantage points around the world. In light of recent service provider outages, it has become increasingly important that service providers implement redundancy and increase capacity across their networks. DDoS attacks, the main culprit during the majority of last year’s outages, seek to flood servers with what appears to be legitimate traffic. The best way to ensure uptime and limit performance degradation during an attack is to have as much capacity as possible. “Frankfurt handles a lot of our traffic, that’s why we’ve made it a priority during recent upgrades. As we’ve seen in the past, it pays to be over prepared. Our emphasis on capacity is the main reason why we are able to stay online during attacks,” says President of DNS Made Easy Steven Job. Last year, DNS Made Easy upgraded their San Jose, Amsterdam, and Ashburn points of presence to increase bandwidth. DNS Made Easy also only partners with tier one data and bandwidth providers, to ensure optimal delivery. When choosing a DNS provider, it’s important to look at more than just speed, but also the network behind it. DNS Made Easy encourages clients to pay attention to the locations and partners behind their provider’s networks.